Are you looking for a list of all currently published reports with descriptions in Crystal Reports? As you may know, hovering over a report name will show you the report descriptions but this could mean potentially hovering over hundreds of reports, which is not a very good use of your time. The best way to build this master list is right within Crystal Reports. To do this you must have the report files stored in a folder locally. First you will need to create a new report and setup a New Connection. To do this, go to the Database Expert and click on More Data Sources and then File System Data. Second you will need to link to the folder where you store your reports locally. Lastly you will pull in all of the field data you want to view under the File - Summary Info dialog box. This is where you should be adding information about what each report does. There should be no character limits in the comments section under Summary Info. You can use the Keyword field in the Sumary Info dialog to enter values that would be helpful in a Select statement to help you pull various types of reports. The fields you want are at the bottom of the list and are marked with "Summary Info." And there you have it! 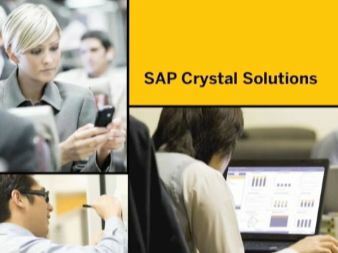 This is a quick way to build a master list of Crystal Reports, including descriptions. Have other best practices questions about Business Solutions? Ask us in the comments below!